1. Modular Used to create high power systems that build on the baseline of modules and combining. By investing in our module library, we can replicate customer requirements, ensure that all our energy is directed at our core business, and provide volume manufacturing to expand the size and range at low risk. Refining modules is our “core” business. 2. Linear Achieving linearity and efficiency at the same time is important to our customers. Complex modulations, coding, and spectral mask control are all important to controlling the bandwidth of our emissions. It is particularly relevant for owners of allocated spectrum to use that spectrum wisely and efficiently. 3. Compact Small size is critical for mobile and transportable systems. 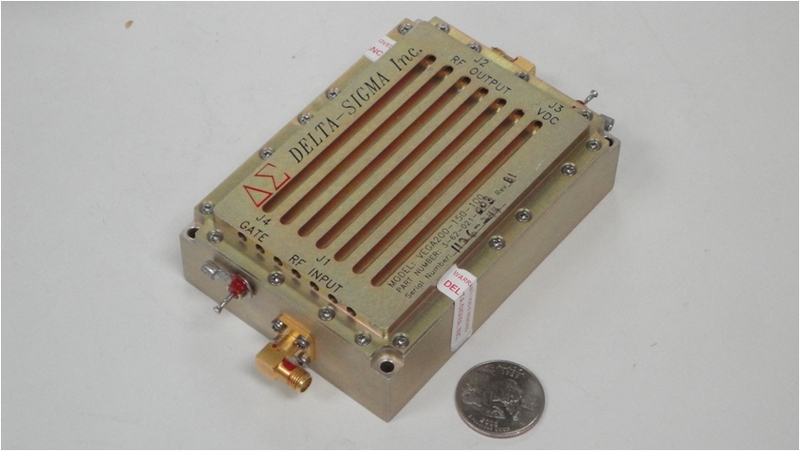 We set records for small size for high power systems in our quest to ensure the effectiveness of payloads on small airborne platforms, whether for communications, radar systems, or remote sensing. 4. Efficient The power supply on a small platform such as a UAV for example, is very limited. Most efficient use of power is essential for the conduct of missions, & enables system capabilities beyond the accepted conventional design limitations. Please call for information to help enhance your system capabilities.